NASHVILLE — State officials say it won't be long before water-damaged vehicles from areas struck by hurricanes Irma and Harvey will flood into Tennessee, peddled by scammers to unsuspecting consumers. Paula Shaw, executive director of the Tennessee Motor Vehicle Commission, recently issued an alert urging car-buyers to be wary, saying saltwater damage may not be noticeable but is unrepairable. Besides the potential for being ripped off, Shaw warned, "driving a flooded car puts its owner and other drivers at risk of injury or death." 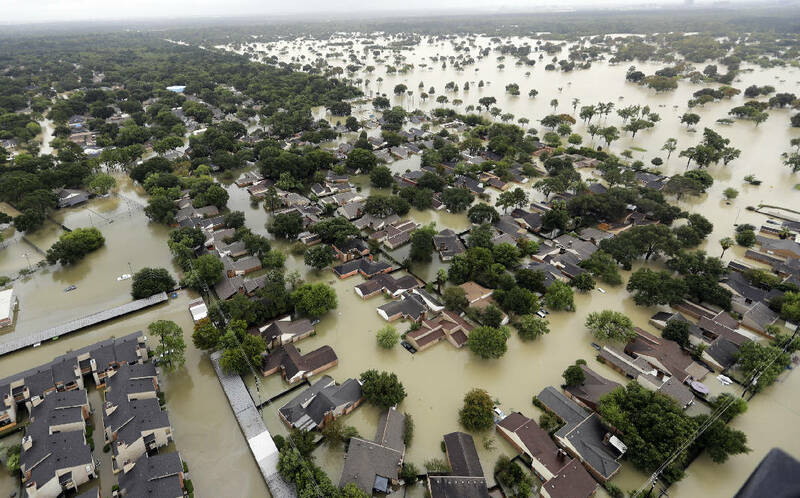 "The recent disasters in Texas and Florida are expected to leave over a million flood-damaged vehicles in their wake," said Shaw, whose agency is housed within the Department of Commerce and Insurance. "We want to help Tennesseans avoid unknowingly purchasing a used car that may have received non- repairable damage." The state's Motor Vehicle Anti-Theft Act of 1996 makes a clear distinction between a "fresh water flood" vehicle — which can be rebuilt — and a "saltwater damaged" vehicle, which cannot. Any vehicle declared a total loss for saltwater damage can only be dismantled and used for parts. POLL: Have you ever suffered flood damage? Determinations about the type and extent of damage is made by insurance companies. -Be alert for musty smells, damp carpets, or mud/silt under the seats. If dry, look under the carpets for signs. Check the engine compartment for evidence of water and grit from submersion. The same goes for crevices in alternators. Examine screws in areas such as the console for rust. -Tennessee officials recommend buying from a licensed motor vehicle dealer, which they can verify at verify.tn.gov. -Know that recreational and powersport-type vehicles may have been damaged too. -There are lawful ways of reselling previously damaged vehicles. "Rebuilt vehicles" can be repaired and sold as long as they comply with applicable laws. Buyers who suspect a licensed dealer failed to disclose a salvage history should file a complaint with the Tennessee Motor Vehicle Commission. The commission said many of the vehicles caught in Harvey and Irma will be categorized as saltwater damaged, which includes corrosion of body, operating components and electronics. Kevin Walters, a Commerce and Insurance spokesman, said Friday that no complaints have surfaced at this point. But Walters said a department attorney already has spotted a video on social media that purports to show how to repair flood-damaged vehicles. "Basically, all this person has done is taught scammers how to get it ready and sell to unsuspecting consumers," Walters said. "I foresee, if I'm looking at a crystal ball, that this is the calm before the storm and that we will be seeing flooded vehicles flood the market in Tennessee with social media and misinformation." With "people looking for a good deal, I think we all need to be on our toes with regard to this," Walters added. Bob Weaver, president of the Tennessee Automotive Association of vehicle dealers, said many of the sensors and electrical components in newer cars are under the floor and up into the seats. For insured vehicles where water reached into the floorboard, insurers are designating them as totaled and shipping them off to scrapyards, Weaver said. But "that doesn't account for vehicles that are privately owned that may not be insured," he warned. "Where consumers need to be careful is on some of these websites; private-party sales is where the consumer needs to stay vigilant." Tennessee law requires sellers to tell potential buyers if a car has been flooded. And the title to a flood car will note the vehicle's salvage history, which will substantially impair its resale value. The state and the National Automobile Dealers Association offer tips to help buyers avoid scams. NADA recommends checking a vehicle's title history using the National Insurance Crime Bureau's VinCheck, the National Motor Vehicle Title Information System or commercially available vehicle history report service such as Experian or Carfax. The reports may state whether the vehicle has been flood-damaged, but information may not be up to date — a vehicle's flood history may take up to 30 days or longer to post on traditional consumer reporting sites.